Sage 300 ERP 2019 is available now. With the release of Sage 300 ERP 2019 we are pleased to announce the release of Customer Invoice Correction Utility for Sage 300 Version 2019. 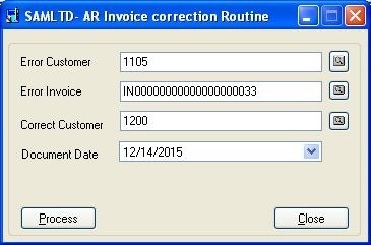 In our earlier version of AR correction utility we have developed a custom component which generates credit note against the selected faulty Invoice and then re-creates new invoice with the Correct customer and the new document number with a suffix of “-1”. Now we have enhanced the functionality of this utility by introducing the new features. We have now added the option to select Document Date on user interface of AR Connection Utility. While creating the invoice this date will be consider as document date. 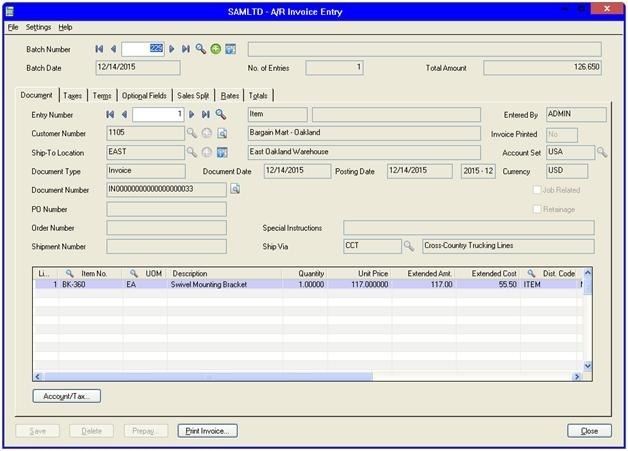 Also using this utility user can now make the correction of customer for Item type Invoices also. Earlier this feature was limited for only Summary Invoices. We have created an Item type Invoice “IN00000000000000000033” with the customer number “1105”. This invoice has been created with the wrong customer number. [Please note here we have created Item type invoice.] 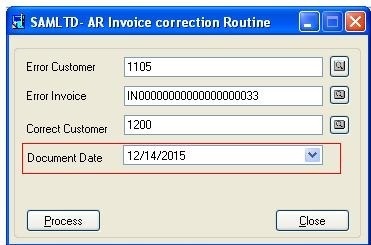 On utility User has to select the incorrect customer along with the Invoice number that needs to be corrected. User also needs to select the correct Customer number with which the Invoice needs to be re-created in Sage 300. On the successfully completion of process, user will get below message and utility will automatically generate a Credit note against the incorrect Invoice. Also in the latest upgrade we have now creating new invoice with auto generate invoice number in the same batch. 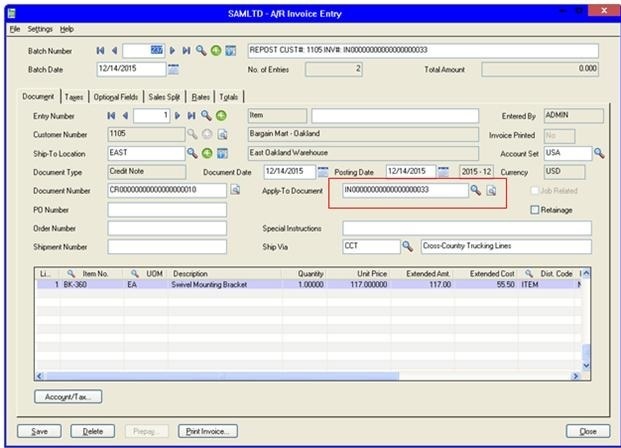 In older version we used to create separate batch for credit note and invoice number with suffix as -1. With the help of these new changes we have now enhanced the working of AR correction utility in Sage 300 version 2019.